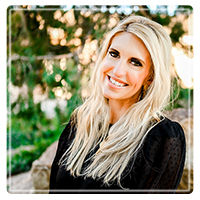 Denver Therapist: Allison Gomer - Therapist 80222. I am a somatic healer and have a background in psychotherapy and counseling. I guide and teach you to become more aware of yourself on a physiological level. This allows for you to release and renew residual energy that is trapped in your nervous system, relieving the immobilizing symptoms of trauma, anxiety and depression. Becoming acutely aware of your body and how it functions through sensations, will lead you to the emotional energy that is frozen within your nervous system. I will teach you how to tap into sensations and transform the stored energy, which is the key to helping your soul and body to reach a higher potential and level of functioning. Somatic work leads us straight to our emotions. This work will help you gain an awareness of your body through sensations. Identify where emotions reside within you and where they stem from. Understand patterns that no longer serve you and unhinge you from immobilizing symptoms.